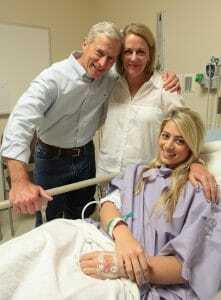 Travel blogger Lesley Murphy meets with breast surgeon Daniela Ochoa, M.D., prior to her double mastectomy, while her parents, Martha and Vent Murphy, listen in. April 14, 2017 | April 14, 2017 | Lesley Murphy is accustomed to waking up in exotic locations. From snow-covered Finland to the beaches of Bali, this 29-year-old professional blogger spends more than 300 days a year documenting her travels to vacation destinations around the world. 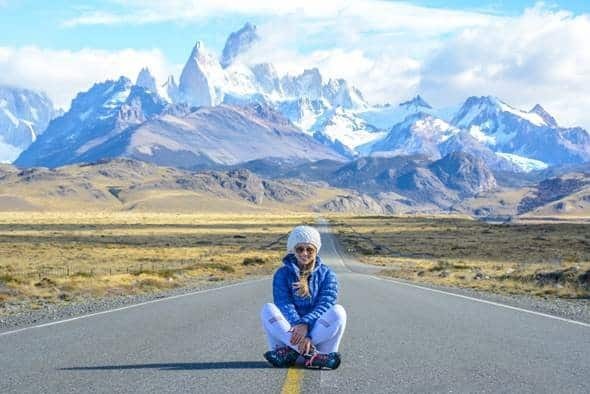 “My number one goal is inspiring travel and showing people that if they get out of their comfort zones, they can make the world a better place,” she said. 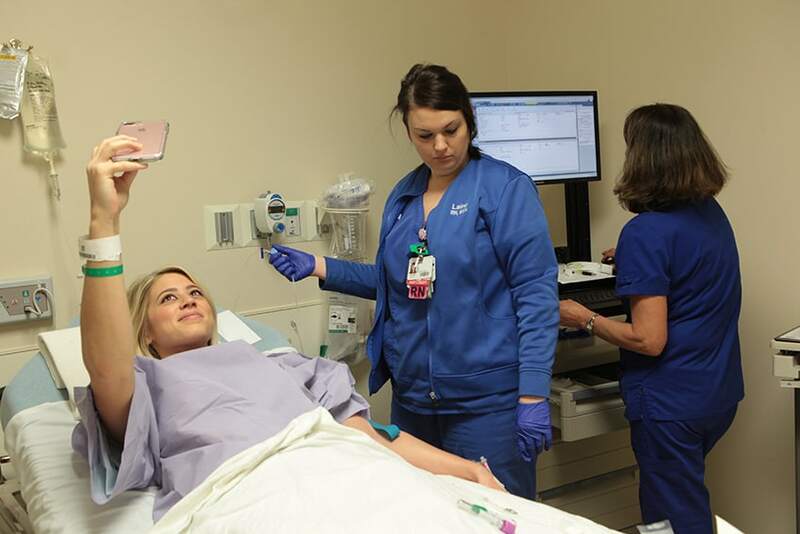 Lesley Murphy poses for a quick selfie while she is prepped for surgery. Recently, however, the Arkansas native took a detour from her globetrotting lifestyle to focus on a very different subject — her future health. About three years ago, Lesley was living in Argentina when she received the call that her mother, Martha Murphy, was diagnosed with breast cancer. With no history of breast cancer in her family, the diagnosis came as a shock. Martha Murphy, who was living in Fort Smith at the time, felt a lump in her breast before scheduling a mammogram in early March 2014. After it was confirmed she had stage 1 breast cancer, Martha immediately sought the advice of her next-door neighbor, who happened to be an oncologist. He recommended genetic testing to determine if she might have a mutation of one of the BRCA genes, commonly known as the breast cancer genes. While every person is born with the BRCA1 and BRCA2 genes, women who inherit mutations of the genes have up to an 80 percent chance of developing breast cancer by age 70. If Martha tested positive for a gene mutation, it would mean her three adult daughters had the potential for it as well. “My doctor in Fort Smith ordered the genetic test on the same day I was diagnosed, but it took a few days to receive the results,” Martha said. The morning after her diagnosis, Martha decided she wanted to seek a second opinion at UAMS, Arkansas’ only academic health sciences center. After a reassuring visit on March 21 with breast surgeon V. Suzanne Klimberg, M.D., director of the Breast Cancer Program at the UAMS Winthrop P. Rockefeller Cancer Institute, Martha scheduled a double mastectomy for 10 days later. As a professional travel blogger, Arkansas native Lesley Murphy documents her adventures around the world. Her breast reconstruction surgery was completed at UAMS in August, followed by an oophorectomy to remove her ovaries in September. A BRCA gene mutation also can increase a woman’s risk of developing ovarian cancer. “When I look back, this experience was just a blip on my radar. While it was happening, I was in the midst of helping my eldest daughter plan her wedding. I didn’t have time to focus on myself, so I’m terribly blessed that I didn’t have any complications or need any chemo or radiation,” Martha said. Klimberg also is a professor of surgery and pathology in the UAMS College of Medicine and director of the Division of Breast Surgical Oncology. Martha received the results of her genetic test prior to her visit with Klimberg and was surprised to discover she did indeed carry the BRCA2 gene mutation. She immediately knew that she wanted her daughters to be tested as well. “I told them, this is what we’re going to do. They needed to know if they had the gene mutation, so they could make informed decisions about their future,” Martha said. Each child of a parent — mother or father — who carries a mutation in one of the BRCA genes has a 50 percent chance of inheriting the mutation. Lesley Murphy (right) chose to have a preventative double mastectomy after genetic testing revealed she had inherited her mom’s BRCA2 gene mutation, increasing her risk of developing breast cancer. Lesley is shown prior to surgery with her parents Vent and Martha Murphy. Martha’s eldest daughter, Lauren, and youngest, Jordan, both underwent testing at the UAMS Cancer Genetics Clinic and received mixed results. “After Jordan’s test came back negative, we were hopeful they all would,” Martha said. That would not be the case, as Lauren’s results were soon found to be positive for her mom’s BRCA2 mutation. The UAMS Cancer Institute is home to the only clinical cancer genetics team in Arkansas. Although any doctor can order genetic testing — which is conducted using a blood or saliva sample — UAMS has the only board-certified geneticists and genetic counselors in the state who can diagnose rare syndromes and manage complex cancer syndromes, of which there are more than 50. As for Lesley, finding time for the genetic screening was a challenge in itself. 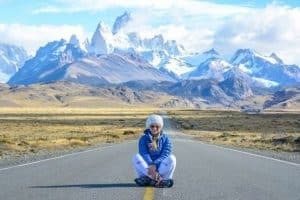 Because she was living in South America, did not have domestic insurance, and was launching her career as a travel blogger, the sense of urgency wasn’t strong. When her genetic test came back positive for the BRCA2 gene mutation, Lesley knew she had some choices to make. 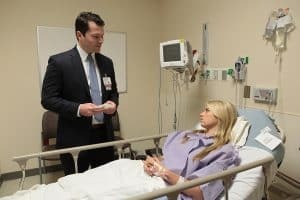 She looked to Kent McKelvey, M.D., director of Cancer and Adult Genetics Services, and the UAMS Cancer Genetics Clinic staff for guidance. “Each person ultimately has to make the choices that are best for themselves and their families. We are here to help people understand the evidence and options and guide them to make the best informed decisions,” said McKelvey, who also is associate professor in the UAMS College of Medicine Division of Genetics. For Lesley, those choices were to undergo breast cancer screenings every six months in an attempt to catch any tumors in their earliest stages or have a preventive double mastectomy, followed by reconstruction. With her travel career in full swing, Lesley said the choice was clear. “Because of my schedule, I didn’t foresee the twice-yearly screenings as a realistic option. While it may sound drastic to some people, having the surgery was definitely the best option for me,” she said. The fact that Lesley was able to learn about her gene mutation and make the best choice for herself provides a sense of freedom and empowerment, McKelvey said. Lesley Murphy discusses her breast reconstruction process with plastics and reconstructive surgeon Eric J. Wright, M.D. “Given her active career and the fact that she gave this decision serious consideration, her choice to have elective surgery makes perfect sense,” he said. 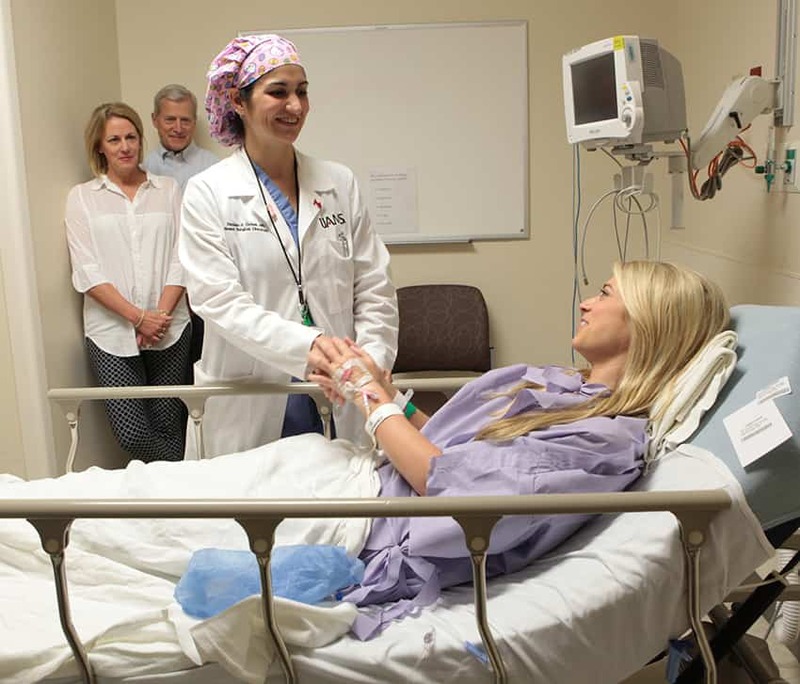 Following the double mastectomy with UAMS breast surgeon Daniela Ochoa, M.D., Lesley’s risk of developing breast cancer will be reduced by about 95 percent. Nothing can eliminate the risk entirely, McKelvey said, however, surgery is the most effective strategy to dramatically reduce her risk of breast cancer and eliminate any future need for screenings. Ochoa is a professor of surgery in the UAMS College of Medicine Division of Breast Surgical Oncology. Because of her public image and large social media following, Lesley chose to document her experience on social media channels including Instagram, Facebook, Twitter and Snapchat. “I saw this as a way to educate people and encourage them to be more knowledgeable about their own personal health decisions,” she said. After a four-week break from traveling following her April mastectomy, Lesley will hit the road again in May, this time with Mom by her side. “The doctors think I’ll be fine to travel by then, but she’ll be there for support if I need it,” Lesley said. She will return to UAMS in late summer to complete her breast reconstruction process under the direction of plastic surgeon Eric J. Wright, M.D., associate professor in the UAMS College of Medicine Division of Plastic and Reconstructive Surgery. Then, it’s back on a plane to her next destination. “I will always travel. I don’t know what my career will eventually evolve into, but travel is definitely what I’m passionate about and what makes me happy,” Lesley said.